Recently we have experienced the consequences of climate changes. Extreme weather conditions are more prevalent, threatening food production for instance in California with its droughts and water shortage. It is easily noticeable how food prices are steadily climbing up. Why not start a garden and an orchard in your front or backyard and produce healthy, fresh food, not contaminated with pesticides, not controlled by big agro corporations (if you use heirloom seeds). This boring green English lawn is waiting to be transformed into something useful and meaningful. The only thing you will depend on is…POLLINATION! 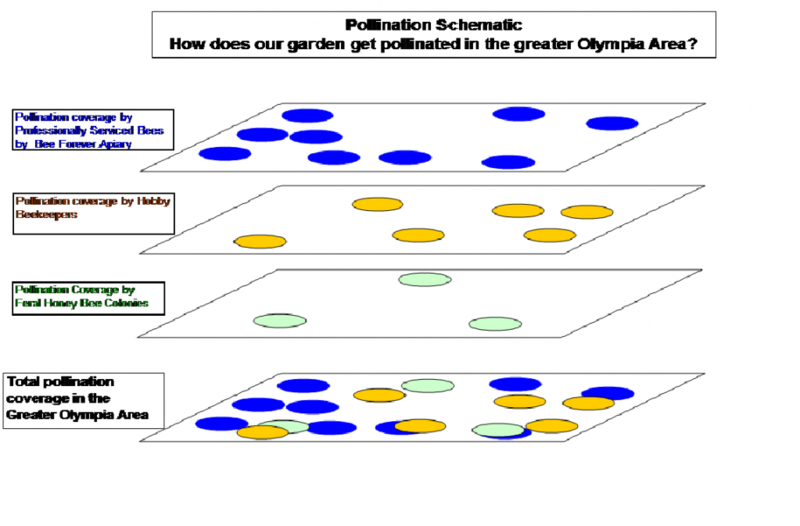 How can pollination of a rural, suburban or urban area like the bigger area of Olympia be achieved? 1) Feral honey bees living in nature or in buildings and solitary bees. Solitary bees have a very short season and the number of feral honey bee colonies are not known. 2) Hobby beekeepers caring for honey bee or mason bees. The number of hives maintained by hobby beekeepers may fluctuate strongly from year to year. 3) Honey bee hives professionally maintained by Bee Forever Apiary. This is the most reliable source of pollination. 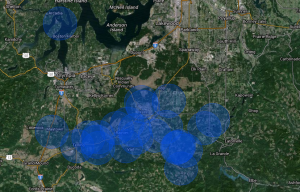 Check out the real coverage on the image below and notice, how individual people who have bee hives on their property that are maintained by Bee Forever Apiary form a network that significantly contributes to the pollination coverage of a whole region. 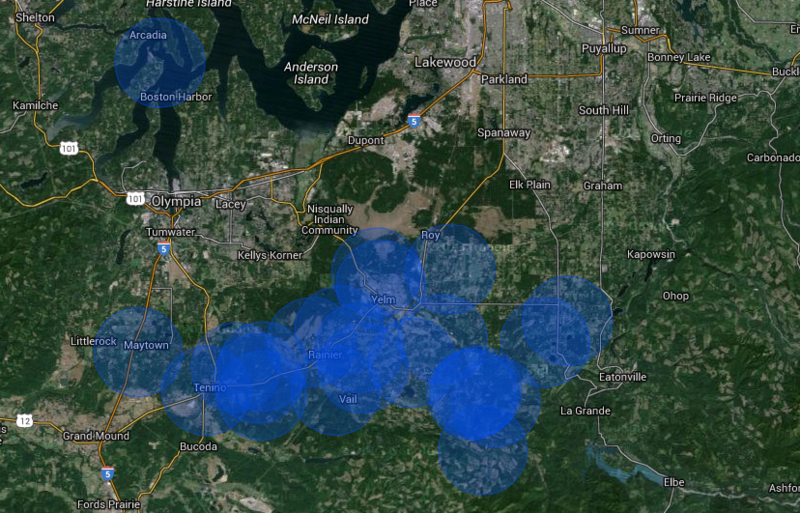 The more blue circles we have where we live, the more secure pollination will be!